While it’s only been one draft with Brian Parker as the head of Amateur Scouting, I’ve become concerned with the Blue Jays’ approach. I’m sure that I can be proven wrong in 2014 but the 2013 draft had the Blue Jays try to get “high-upside” pitching with an almost single-minded obsession that may, in the long run, backfire. Pitchers are the most uncertain commodity that teams can draft and high school pitchers are even more uncertain. It looks like the Blue Jays have taken a “volume” approach to this problem and have the desire to develop a large crop of pitchers for their own use or for trading for position players down the road. I’ll speak to development a little later on but right now I just want to talk about the identification and drafting strategies that the Blue Jays employed in 2013 compared to previous years. Let’s review. While there was a premium on “high-upside” pitchers when the Jays had multiple first and supplemental round picks in 2010-2012, the Blue Jays also made it a point to go after talented position players with some of those picks. In 2010, they had four picks in the first and supplemental rounds and chose all pitchers. In the second round, they did select a position player, Kellen Sweeney, who hasn’t figured out how to hit above Rookie Ball. There are a couple of prospects from lower down in that draft (Dalton Pompey, Danny Barnes), but the real value from the 2010 draft came from the first three picks, Deck McGuire, Aaron Sanchez and Noah Syndergaard. The Blue Jays went for a more balanced approach in 2011 (the “Tyler Beede” draft) selecting a few more hitters early. Unfortunately, Jacob Anderson didn’t do much but Dwight Smith has started to show some real promise. The Blue Jays are looking like their 13th rounder of that year, Matthew Dean, is going to be something very good. He fell in the draft due to injury and signability issues and, similar to Rowdy Tellez in 2013 (more on him later), the Jays picked up a nice bat with a late pick by opening up their wallet. The Jays also got Andy Burns in the 11th round, showing that they weren’t averse to selecting promising young players who had injury struggles in their previous college or high school year. The most advanced player the Jays got in that draft is, of course, Kevin Pillar, a 32nd round pick that no one expected would make the majors so quickly (or at all). So in 2011, the Jays got a lot of pitchers (including Daniel Norris, John Stilson and Tom Robson) and a couple of promising bats. 2012 would show the Jays to be still taking a more balanced approach to stocking their minor league system. In 2012, the Jays had two first round picks and took young, toolsy outfielder D.J. Davis (17th overall) with their first and well developed college pitcher Marcus Stroman (22nd overall) with their second. The Jays also took Mitch Nay, Chase DeJong and Anthony Alford in that cluster of seven early picks. Nay looks like the real deal with gobs of power from the right side, an excellent approach at the plate and the possibility of sticking at third base (although he may move to the outfield or first). Davis has made some big strides but is still very raw and will need at least three years (in my opinion) in the minors to polish his skills. Once again, the Blue Jays had seven early picks in 2012 that they decided that they would be willing to overpay enough that they chose guys who would sign very cheaply with their remaining six picks in the first ten rounds. 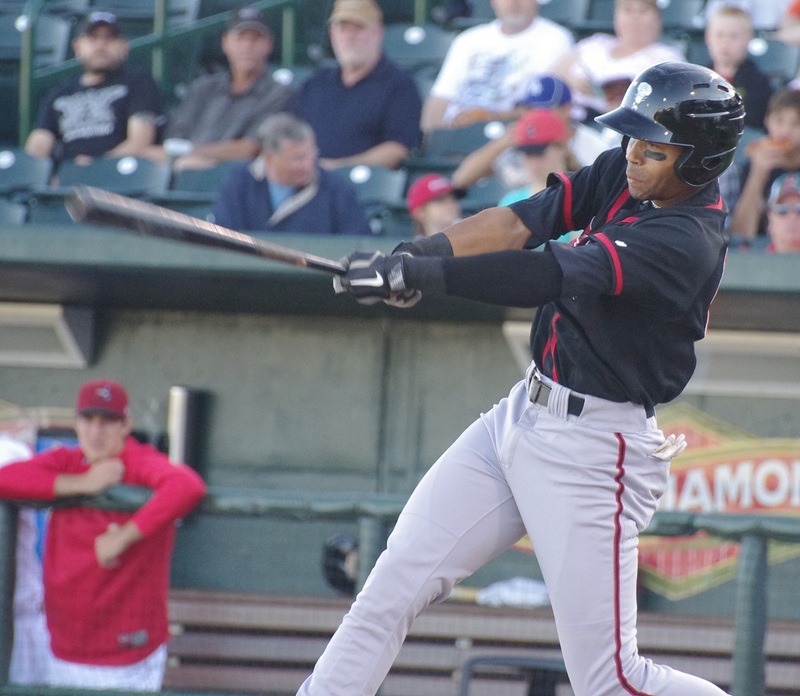 Of those top seven picks, three were position players and two certainly are starting to move up in the organization and will likely be in Lansing in 2014. What did they Blue Jays do in 2013? They took a pitcher with a big arm that they couldn’t sign in the first round. They took three more high school pitchers in rounds two through four followed by a junior college pitcher (who was still very young) in round five and a college senior (also a pitcher) in round six. Round seven brought another high school pitcher and eight and nine were both college pitchers. 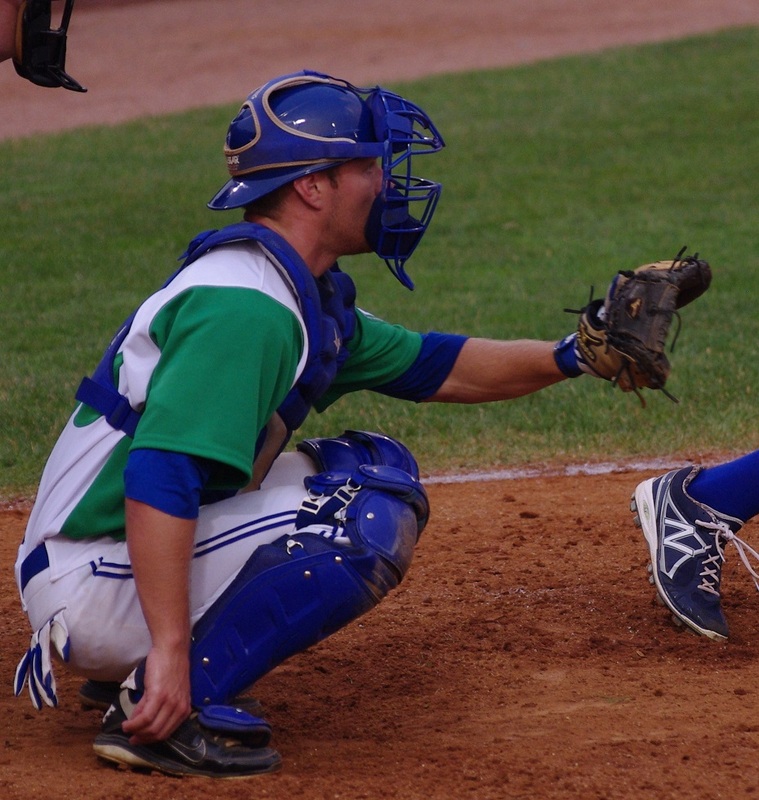 Round ten saw the Jays’ first position player, Air Force catcher Garrett Custons who will have to complete his military commitments before playing any more professional baseball. What does this (combined with what the Jays did with the rest of their picks) tell us about what’s going on in the Blue Jays’ amateur scouting division? This is very indicative of a strategy in which the Blue Jays feel that it’s more important to go after high-upside arms in the draft to the exclusion of everything else. The Blue Jays took one high-upside hitter in this draft and that was Rowdy Tellez in the 30th round. Tellez was seen as having some of the best left-handed power of anyone in the draft but he had a strong commitment to USC that probably scared off a lot of teams who wanted to take him in the second or third round. The fact that the Jays convinced him to sign gave the team only two hitters who had shown any power up until this point (the other is another first-baseman, L.B. Dantzler, the MVP of the Northwest League). Under Brian Parker, the Blue Jays want pitching from the draft. So where are the Blue Jays going to get position players and, in particular, the ones with high upside that can make the majors eventually. I believe that their plan is to fill their minor leagues with mostly organizational players from the draft and hope for the occasional surprise (like Pillar). The Jays are trying to get some higher-ceiling talent from the international free agents in Latin America but I’ve heard people say that they’ll be able to use the stockpiles of young pitchers to trade for established (or close to the majors) position players to fill the major league team. I have two issues with the way things played out in 2013. The first is, of course, that the Blue Jays didn’t sign their first pick in Phil Bickford. The second is that there were four to six potential impact position players drafted 11-17 right behind Bickford at number 10 that the Blue Jays could have had if they hadn’t had their exclusive focus on pitching. So the big question is whether this is an overall strategic shift or whether Parker and his staff just had their eye on a lot of pitching in 2013. I feel like the Blue Jays are completely neglecting one half of the game and they certainly haven’t proved that they can develop players to make it at the major league level. What really scares me is if the Blue Jays take the same approach in 2014, especially with their two very high picks (nine and 11). If the Jays take two high-school pitchers who throw in the mid-to-high 90s and have signability issues, I’m going to be fairly convinced that the Jays don’t have any interest in picking up an impact bat in the early portions of the draft. * Note: I was in Kingston, Ontario during the Ice Storm of 1998 and so this isn’t so foreign to me. you forgot to mention that Bickford was a reach at #10, he was projected as a late first/early second round pick. So, he was a bad pick for a couple of reasons, signability and the fact he was a reach. It makes you wonder if Parker is in over his head, or if this draft strategy is another one of AA’s unorthidox/smarter than everyone else ideas. While I’m hesitant to call a player a “reach,” I definitely think that there were players available without as much risk attached and who were generally thought of as “higher” picks than Bickford. I’m thinking specifically about guys like Reese McGuire and Braden Shipley here. From what I’ve heard, the Blue Jays selected Bickford firmly believing that he was going to sign but considering how raw he was, there were definitely other guys they left on the board. I would sincerely love to be proven wrong by the Blue Jays over the next few years but at this point in time, things aren’t looking that way. This is a controversial topic. The question of whether it’s better to let a risky draft pick not sign in one year in order to be able to get another pick in the following year is subject to idividual’s opinions. Most people I’ve talked to agree that it’s better to get a guy signed and into your system because the pick the following year will be a year behind in terms of development. I’m not entirely convinced and having two picks in the first 11 in 2014 can’t be a horrible thing. The only issue is that I’ve only heard people saying that the Jays thought that they could sign Bickford. I wouldn’t call the compensation a “saftey net”: there is no safety net when it comes to draft picks. Truth is, they may be able to get someone better next year (the draft is supposed to be deeper for 2014). The whole point that I’m trying to make, however, is that the Blue Jays pursued a very risky strategy in 2013 by going after high-upside pitching to the exclusion of almost everything else. The Bickford selection was the tip of the iceberg on that trend. syndergard was a reach too at the time but I suppose you knew better about him? In all honesty, Max, I didn’t know much about Syndergaard at the time. I wasn’t following the draft and the minor leagues nearly as closely in 2010 as I am now. If he was considered a reach by scouting experts, then they Jays obviously got something right there. I think that year, they could be a little riskier by taking guys like Sanchez and Syndergaard because they had so many early picks. They took a “safe” guy in McGuire and you can see where he is now (although I haven’t given up on Deck yet). I can say in hindsight that the 2010 draft had its hits and its misses but, because I wasn’t really following it too closely at the time, I can’t tell you that I had any opinion back in June of 2010.